Tidings from all at Knowmad Adventures! There’s just something about the holiday season that makes us feel lucky. Maybe it’s that we’re warm and toasty inside as it grows frosty outside, but I think it’s the fact that we just are plain lucky. 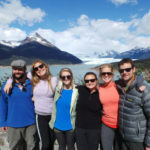 We find ourselves thriving in a downturned economy, living our dream, and helping to build unique travel experiences everyday in the far-flung corners of Chile, Argentina, Peru & Ecuador. It’s when one’s traveling and gaining different perspectives on the world that one often times realizes how good you’ve got it (and that there are people out there that aren’t nearly as fortunate as you are). Through Kiva, an organization that strives to empower people around the world with their micro-loan programs, Knowmad is able to help in a little way. 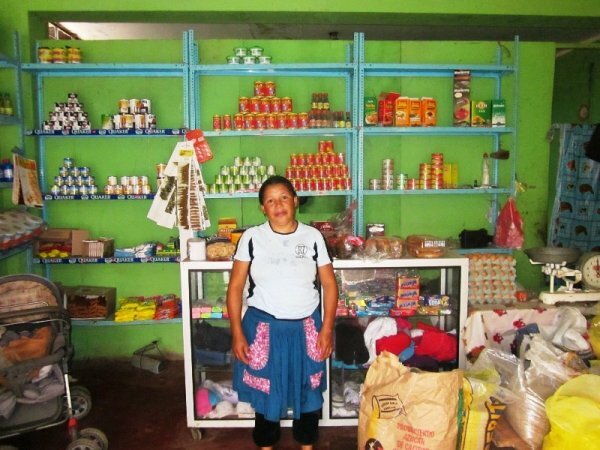 This month a year ago we made three microloans through Kiva to Monica, Ricardo and Eda in South America. All three just needed that little extra to jumpstart their small businesses and we’re excited about their successes – the loans have been almost completely paid back. So this year we’d like to spread the love again. 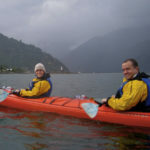 In addition to supporting local communities and economies with travel, we’ll be lending to Angel & Eusebia in Bolivia, Manuel in Ecuador and Maxima in Peru (scroll down to read a little bit about them and their stories) and wish them all a Prospero Año Nuevo, or a Prosperous New Year as they say in Spanish. ANGEL is 68 years old, and is married to Eusebia. They have children who live with them but they are travelling abroad so now they live alone. 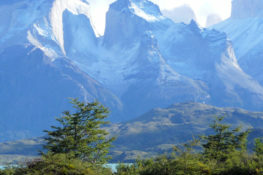 They are engaged to the activity of raising cattle for the production and sale of cheese. Currently, they are going through a difficult situation because they don’t have enough fodder to feed their cattle. The money they had for these supplies was lent to a person, who hasn’t returned it so far and refuses to do it. Due to this emergency, Angel had to resort to our offices to request a loan. He is desperate because his income depends on the good diet of the cattle, and he hopes to be able to live without worries. MANUEL lives in Manta, Ecuador in the Manabí province. He is 42 years old, single and has one son who attends a public school. He started his own business baking cakes and bread 14 years ago because he had completed a level 1 bakery course. Currently, Manuel works alone from Monday to Sunday between the hours of 4am and 5pm. With this loan, he intends on buying flour, lard, butter and eggs etc. 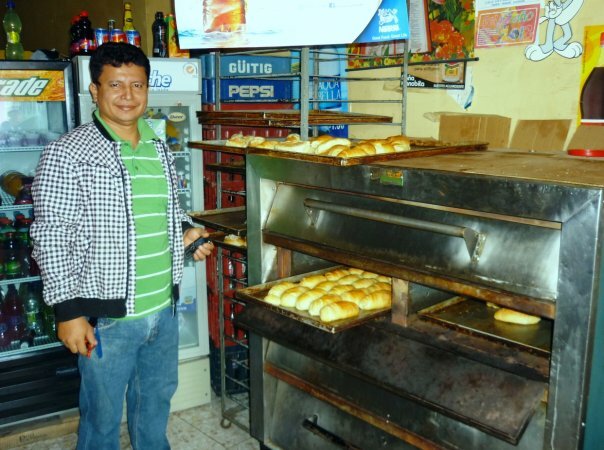 His dream is to keep on growing his business until it becomes a large bakery and is well-known throughout Manta. MRS. MAXIMA, 35, is married to Filemón. Their three small daughters Leonela, Ruth and Inés bring additional joy to their home and represent the motivation that every parent needs in order to get ahead in life. They currently live in a solid material house, which is rented. Her commercial strategy is to take advantage of rising opportunities and this is why two months ago she opened a grocery store with her effort and with Filemón’s and their daughters’ help. She also works in the agricultural sector, but since there is no constant demand for labor, she thought of making the most out of this situation. Her daughters take care of the store when she is working. This is a good way of taking care of the family’s economy, since neighbors and friends visit the store regularly, which has resulted so far in good income. Given the good acceptance, she plans to buy more merchandise. By investing, she will be able to strengthen the store’s position in the future and turn it into a good source of income for her family. She plans, in the long term, to buy a vehicle in which she can transport the merchandise from the country side into the city and in that way reduce the final cost. This will result in better profits. This will be her fourth credit with MFP. She feels satisfied with what she has achieved so far, and with the loan, she expects to keep growing, for the community’s sake. She enjoys being part of the communal bank, because her group is composed of old acquaintances, which makes her feel confident. 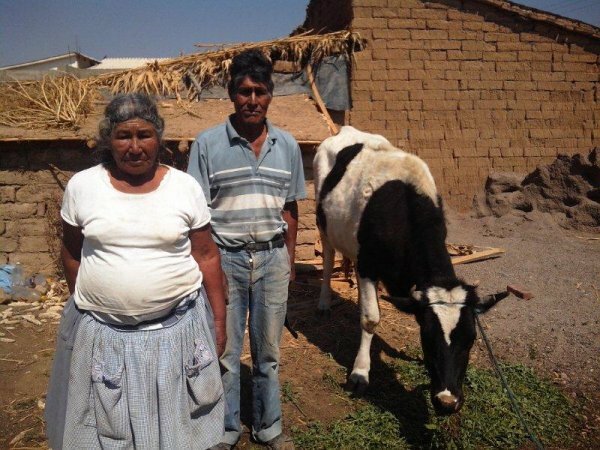 These stories, and others, were translated by Kiva volunteers in South America.